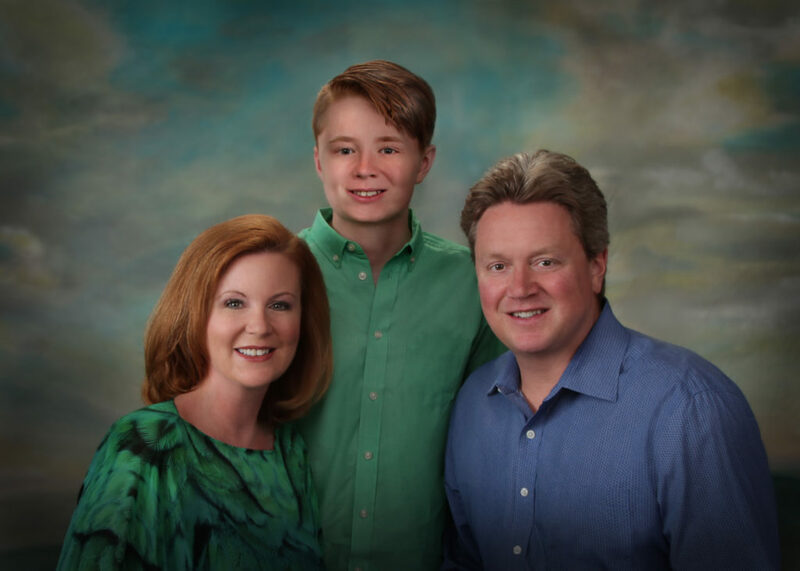 Ever since Kathleen & Christopher Ray’s son, Donavan (8th grade), came to Parish as a preschooler, they have been highly engaged as community members of the School. Christopher served on the Board of Trustees from 2011 to 2017, and he chaired the board for three of those years. Kathleen served on the Parents Association Board for four years as VP of Activities and VP of Volunteers. These and other dedicated investments of time and talent are matched by the Ray’s ongoing support as major donors to the School. Their recent gift of $550,000 to the Limitless campaign brings their giving to more than $1 million. In recognition of their longtime commitment to Parish, the lobby in the new Performance & Community Center will be named the Christopher & Kathleen Ray Family Lobby. Your family has been at Parish since Donovan was in PreK-2. What are some of your favorite memories? Kathleen: When Donovan was little, I loved all the little plays and productions. I ran across a picture of him dressed in angel wings for the Christmas Pageant recently. It’s amazing to see how he and his friends, who were just little baby boys back then, are growing up to be these men – and to see just what good people they are becoming. What kinds of activities is Donovan involved in now that he’s in middle school? Kathleen: He is involved in sports – cross-country, soccer and lacrosse – and he also was just in the spelling bee. The biggest surprise was when he came home one day and told us he was doing drum line. We had no idea he was trying out for it, but thought it was great he was willing to put himself out there and try something new. What do you think is the “special sauce” in the Parish community that makes it possible for kids to branch out like that? Christopher: The teachers and staff really pour themselves into having a relationship with the kids, and the kids feel that. When you get a sense that people care about you, it makes you dig in more, to get more involved and committed. Kathleen: Donovan did robotics for a number of years, and that is a great example. It’s a big commitment – full days, starting early in the morning and going into the evening. The teachers are all there cheering, focused and committed. You see that in pockets at other schools, but I think it’s more universal at Parish. Christopher, you were part of the board conversations that led to launching the Limitless campaign. As someone who has been behind the scenes, how do you feel about what’s ahead for the School? Christopher: It’s very heartening to me how thoughtful, careful and deliberate the School is in stewarding this investment. They are making sure it is something that is really additive to the future of Parish and its students, and not just building a monument to build a monument, or making changes for the sake of changes. I’ve seen a commitment, from senior leadership down, to moving forward with the times, while also staying true to the core tenets of what makes this place special. The end result is going to make a lifelong difference for our kids. What made you two decide to make a leadership investment in the campaign? Christopher: It was a natural extension of having been a part of those early conversations about priorities for the School. But we also love Parish. I think when Donavan is an adult, he’ll look back and see what a unique opportunity he had. Kathleen: I agree. Parish is not just your four years, eight years or 12 years there. It is a place that will be a lasting part of your child’s and your family’s life long after you’ve left. That’s worth giving back to.